Which Tattoo Is Perfect For You, According To Your Zodiac Sign? Have you ever thought about getting a tattoo, but just didn’t know what design you wanted? With literally thousands of designs to choose from, it seems a bit daunting when it comes down to choosing what you want. We only have so much skin to work with, so some people spend months figuring out what exactly they’d like tattooed on them. Plus, you have to figure out where you want the tattoo, what colors you’d like, the size you want, and much more. On top of that, figuring out what artist you want to use adds to the decision-making process, so at the end of it all, you want something that makes you feel good inside and out, but also looks visually appealing. So, how do you choose what you want? 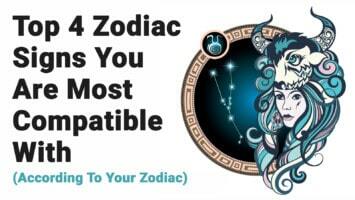 You don’t always have to pick the most original thing out there, so you might want to start with something simple, like your zodiac sign, for example. While you might want the actual symbol for your zodiac sign tattooed on your body, you can always choose an animal or other symbol that represents your zodiac sign. For example, maybe you want a tattoo of a lion, and you happen to be a Leo. Or, maybe you’d prefer a crab if you’re a Cancer. Tattoos can tell a story, or just symbolize something important to you. Or, maybe you just want one for aesthetic purposes, but no matter the reason, a zodiac sign tattoo can make a great first tattoo, or an addition to the ones you have already. If you still feel a bit apprehensive or skeptical of getting a tattoo, did you know that getting tattooed can actually boost your immune system? Yet another reason to get inked! So, if you’d like to get some ideas for your next (or first) tattoo, here’s twelve ideas for you. 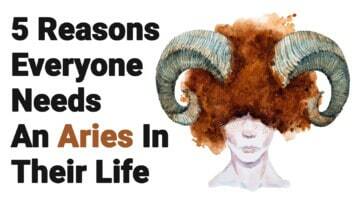 Aries have a strong independent streak, and a headstrong attitude to boot. As an Aries, you could get something that represents courage and a strong will, such as a ram (your sign’s animal), a lion, or another fierce animal such as a tiger. Taurus loves the outdoors, so something nature-related would perfectly represent you. Taurus loves to take their time and not rush through life, and have a grounded, down-to-earth personality. So, maybe a tree, a river, or something else “rooted” to Earth would make a good tattoo idea. Gemini, you love to express yourself, so why not get a tattoo to do just that? Geminis don’t hide their personality from anyone, so a loud and proud tattoo would work well. As a water sign, you could do an endless number of designs with nature that includes a body of water. Cancers’ emotions run deep, so you want to get something very personal and sentimental to you. Leo, you have confidence for miles and love to show off. You need to get a bold, colorful tattoo that represents your personality – vibrant and full of life. Maybe a colorful lion tattoo would suit you well. Virgos love to pay attention to details, so you might want to go for an intricate, thoughtful piece. Virgos also have a logical, analytical personality, so a tattoo of an important date, or something in the science realm would work well for you. Libras stand for harmony, peace, and justice, so maybe you should get a tattoo that represents a cause you feel strongly about. Also, Libras love to connect with others, so matching tattoos would be perfect. Scorpio, you have a courageous, yet mysterious personality, so maybe get a tattoo that makes perfect sense to you but remains a mystery to others. Sagittarius are deeply philosophical, contemplative people. Yet, they also love adventure. Maybe one of your favorite quotes plus a nature scene would be right up your alley. Capricorns don’t like to show off too much, so a smaller tattoo would suit you well. Like all Earth signs, Capricorns have a logical, analytical personality and wouldn’t get a tattoo unless it meant something to them. You might go for a small tattoo on your finger or neck, such as a flower, anchor, or butterfly. 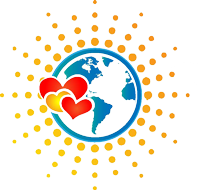 Aquarius love anything intellectual, plus they have an insatiable appetite for travel and culture. Combine these three things and you have a winning tattoo idea. You have a creative and unique outlook on life, so use this to your advantage. Like other water signs, Pisces’ emotions run deep, and they have a craving for anything natural and outdoorsy. Think of animal or nature tattoos when getting your next piece.